Home Conferences April 2019 Faculty April 2019 Daniel Sperling, M.D. Dan Sperling, M.D., DABR, is a globally recognized leader in magnetic resonance imaging (MRI) and multiparametric MRI (mpMRI) for the detection and diagnosis of a wide range of conditions. He is the Medical Director of the Sperling Prostate Center, Sperling Neurosurgery Associates, and the Sperling Medical Group based in Florida and New York. Dr. Sperling is a radiologist certified by the American Board of Radiology, and licensed in New York, New Jersey, California, Massachusetts and Florida. He is the leading pioneer in image-guided Focal Laser Ablation (FLA) for targeted prostate cancer treatment. He has also adapted this treatment for an innovative approach to correcting urinary problems caused by BPH. 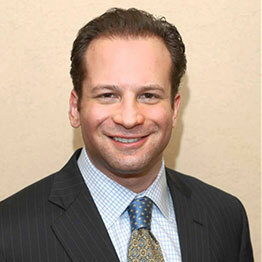 Dr. Sperling is a contributing author on more than 25 peer-reviewed MRI studies. He served as a faculty member at NYU/Langone Medical Center’s annual course, “Advances in Prostate Imaging and Ablative Treatment of Prostate Cancer.” He is the co-author, along with other prostate cancer specialists and men’s health experts, of the new patient book, Redefining Prostate Cancer.